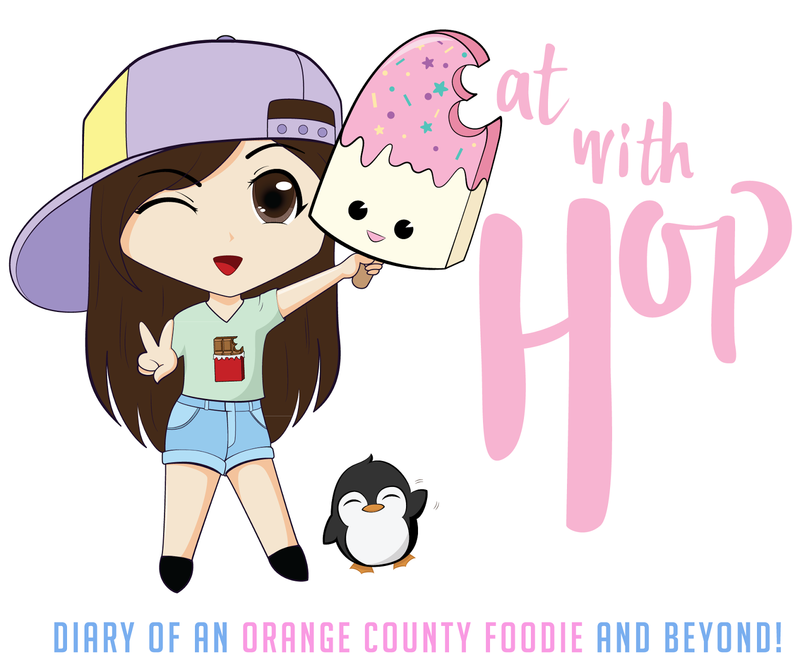 UNICORN BAGELS DEBUT IN CALIFORNIA @ BAGELS AND BREW - EAT WITH HOP! 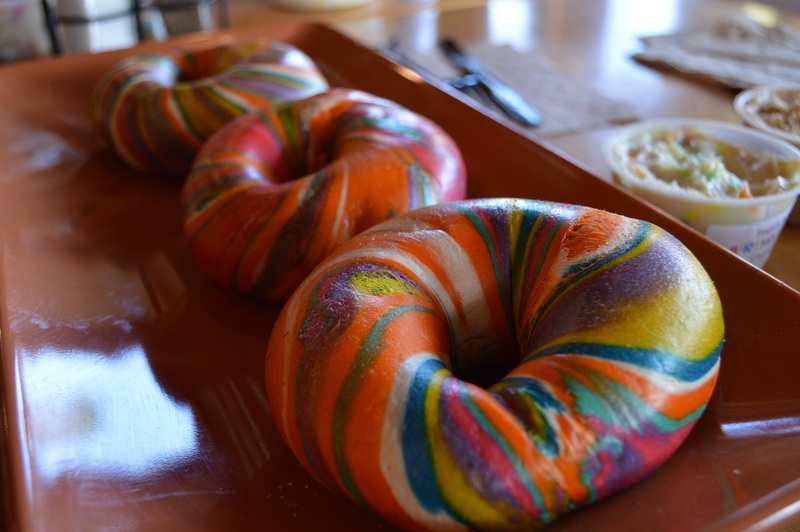 Let's all welcome the new Unicorn Bagel to the West Coast thanks to Bagels and Brew! They are all looking so colorful and magical! 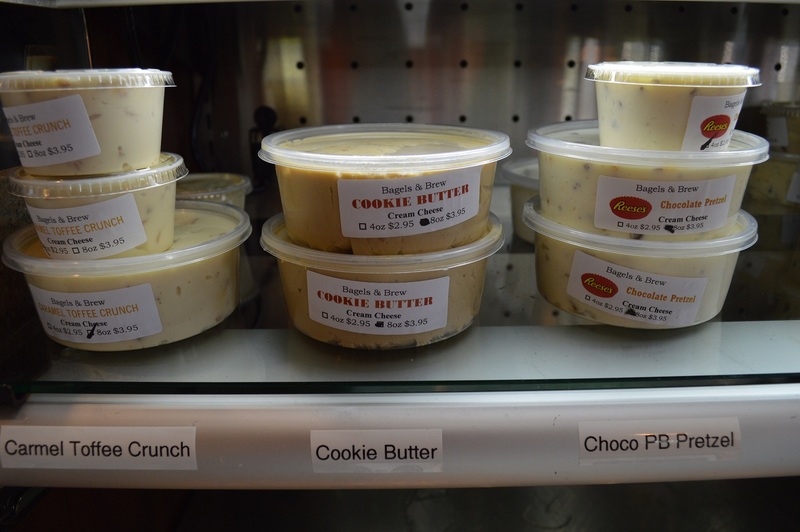 There are also so many new delicious cream cheeses now available! The variety includes Birthday Cake, Oreo, Cookie Butter, S'mores, Chocolate Peanut Butter Pretzel and Toffee Caramel Crunch! My favorite was definitely the S'mores! There are bits of marshmallows in it! And Graham Crackers! 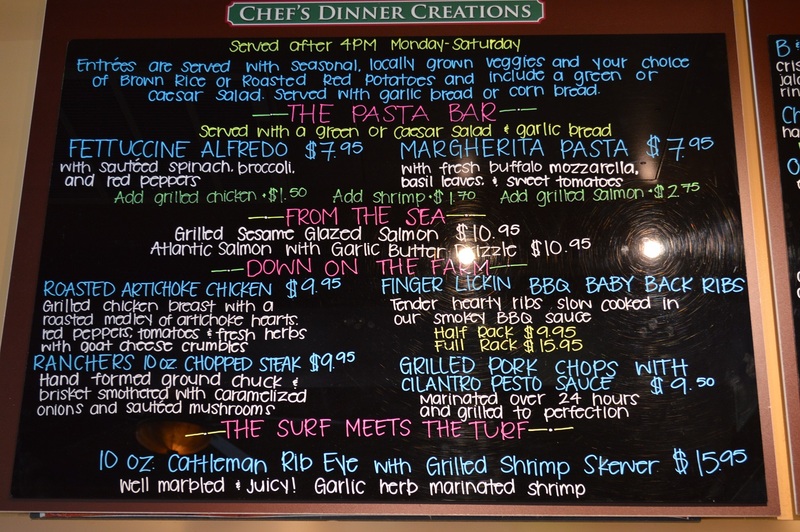 They have specialty creations too! So not just bagels, but yummy meals for lunch! I'm surprised by how huge a bagel place could be. 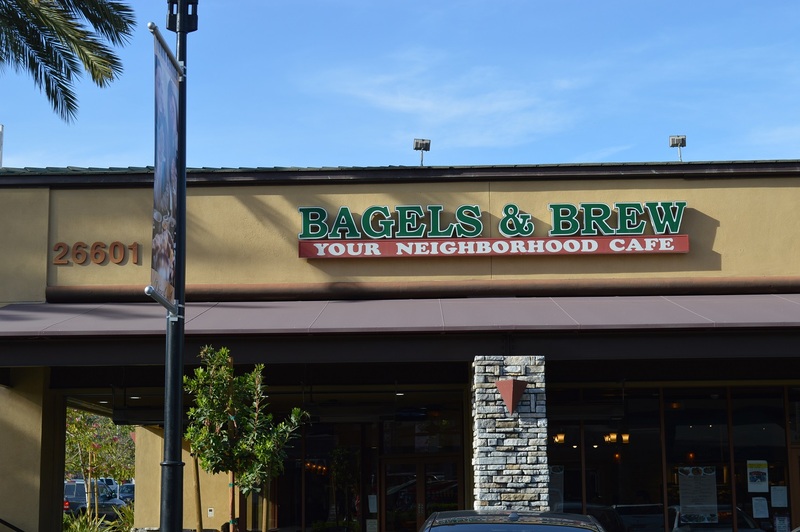 Bagels and Brew is so much more than just bagels! 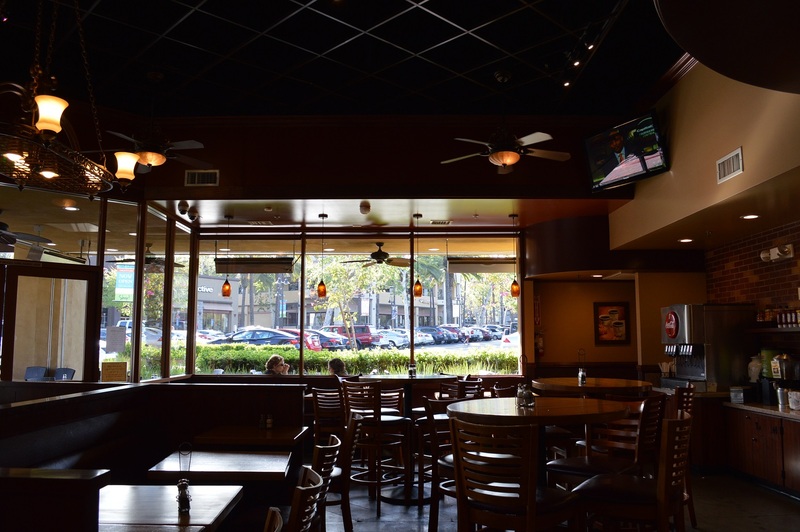 There are a lot of indoor and outdoor seating here at the Aliso Viejo location. 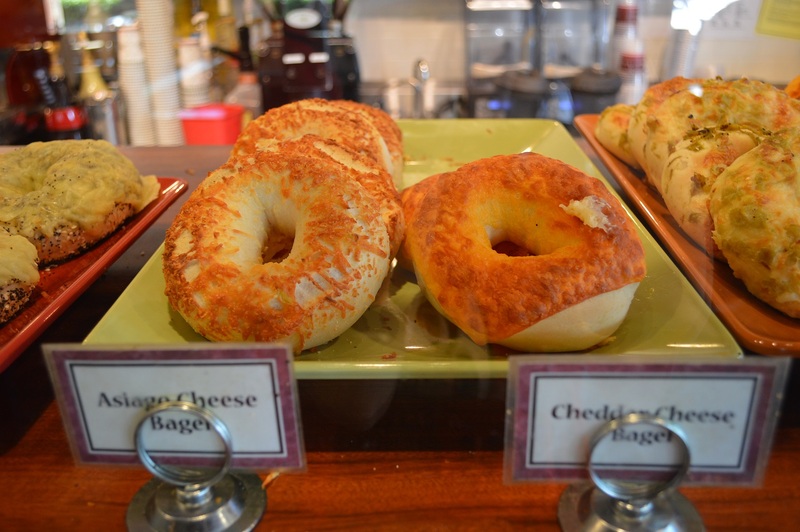 Aside from the new Unicorn Bagels, they already have yummy bagels such as Asiago Cheese and Jalapeno Nacho Cheese! This is the Pizza Bagel. 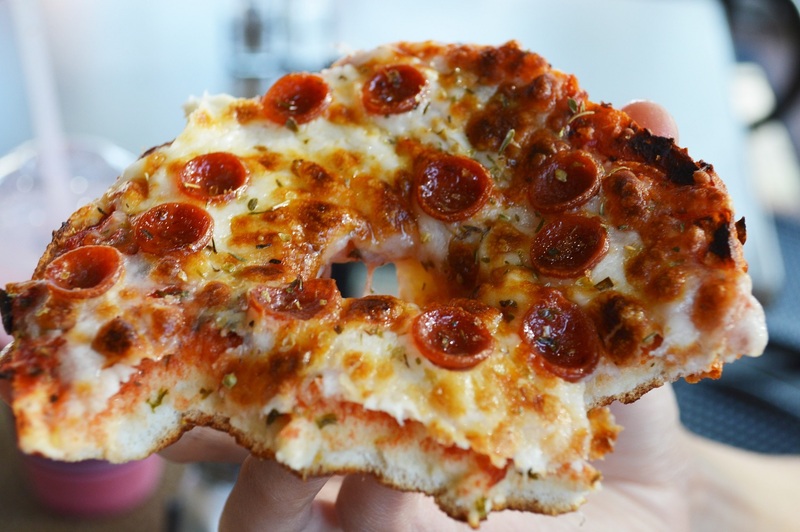 All that ooey cheesey goodness & cute and tiny pepperoni on a Pizza Bagel! Look! 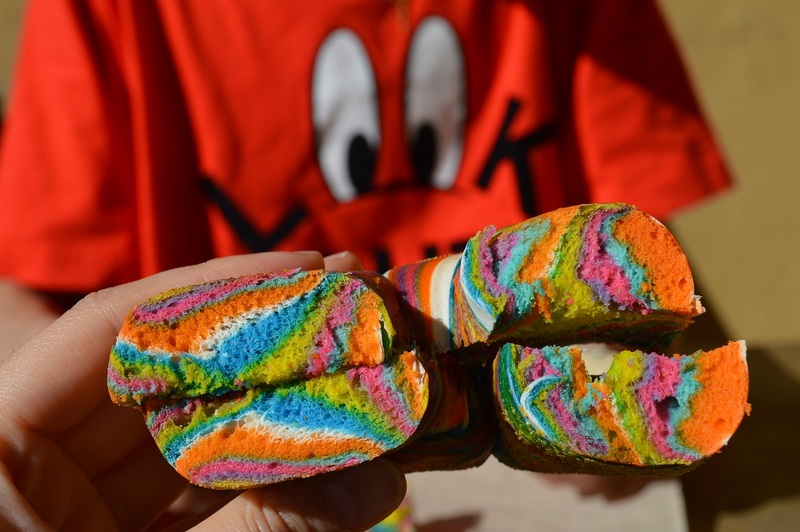 It's a colorful bagel! The Elvis bagel is a new creation too! It's sweet and savory! 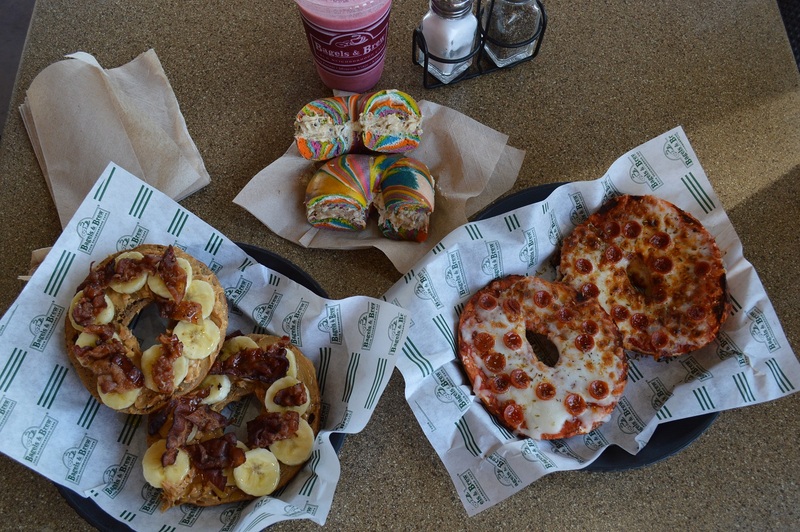 Choose any bagel you'd like and have it topped off with bacon, bananas and peanut butter! Yum! 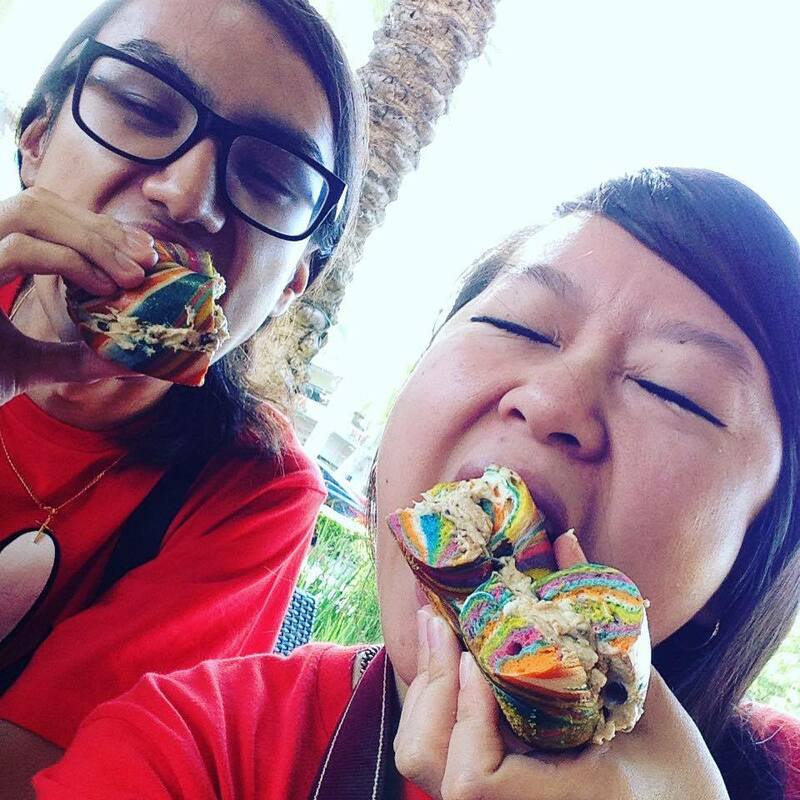 Kevin and I tried the 3 new bagel creations from Bagels and Brew this past weekend! It's been very hyped up these days and I've been seeing it all over Instagram from the famous Insta-foodies. I'm glad I was able to try it too! But I feel like the hype is unnecessary. Let me tell ya why! 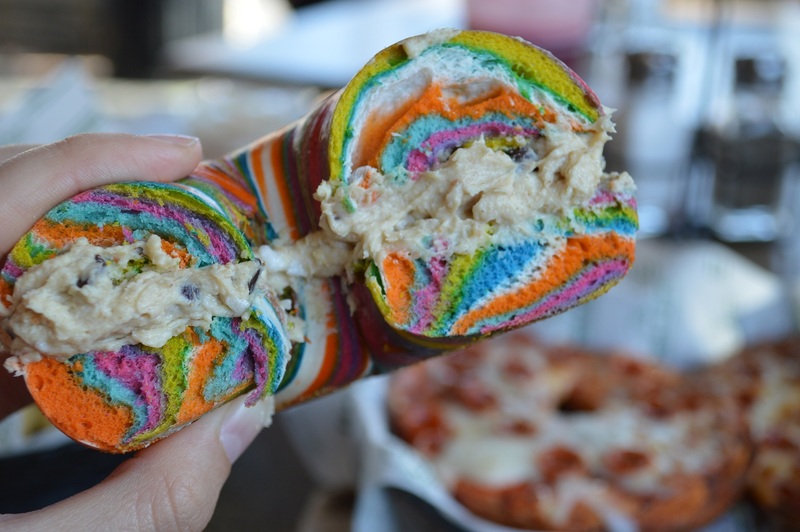 My first impression of this colorful bagel was ..well. It's probably just food coloring and nothing special. Yea, I know it requires skill to make it so many colors in a certain way but what is so special about it when it's all looks? I was hoping to be wrong. But what I found out was that I was right. 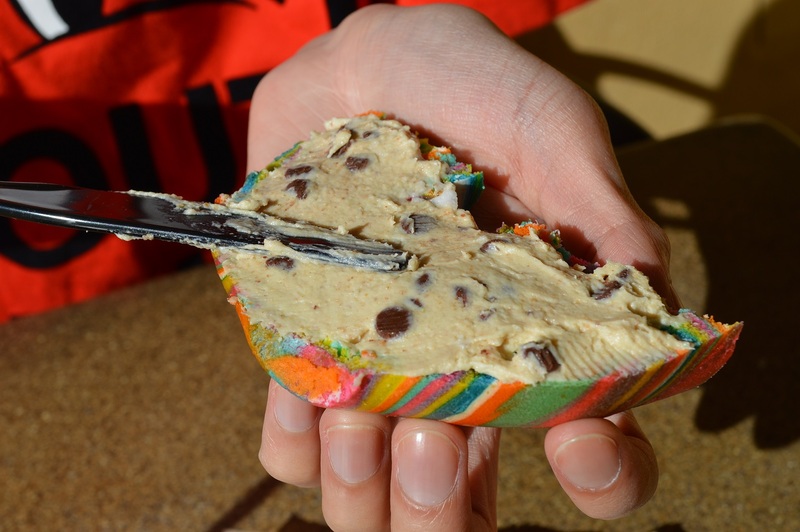 There are no special cupcake funfetti flavors or fruity flavors from each bite. It's plainly food coloring. And it's plain. But I guess that fine if y'all care about feeding your eyes first and taking an awesome photo for Social Media. For me, I think it's better to have a lasting good tasting memory on my taste-buds. The cream cheese spreads were amazing though. So, I guess it's good that the bagel is plain (but I wouldn't go crazy for it) because when you add flavored cream cheeses to it obviously it's gonna taste a whole lot better. And nobody really eats a bagel without anything...right? 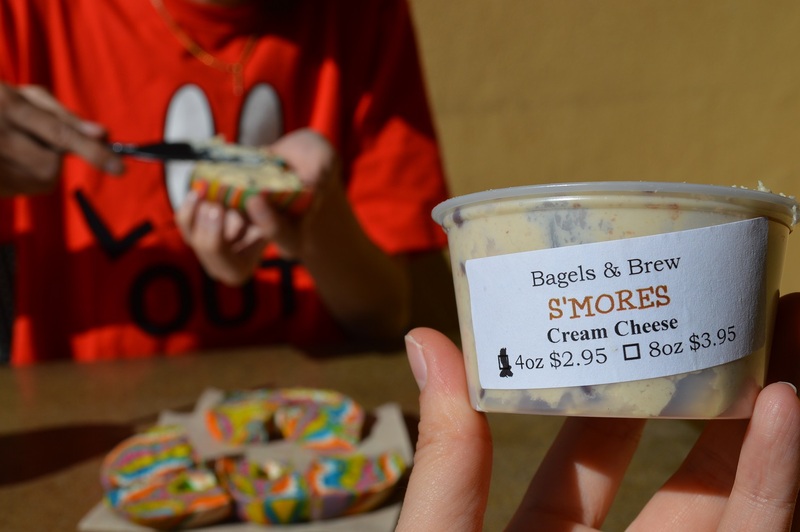 I loved it with the S'mores Cream Cheese but the bagel itself was a bit dry. This was so good. I love the herbs on the bagel! Bagel and Brew puts cute mini pepperoni and a lotta cheese on their pizza bagel (bagel with pizza flavorings integrated). Kevin and I couldn't finish it but it still tasted good toasted as leftovers the next day! He wasn't too particular about all the herbs though but I love it. Who doesn't love bacon? 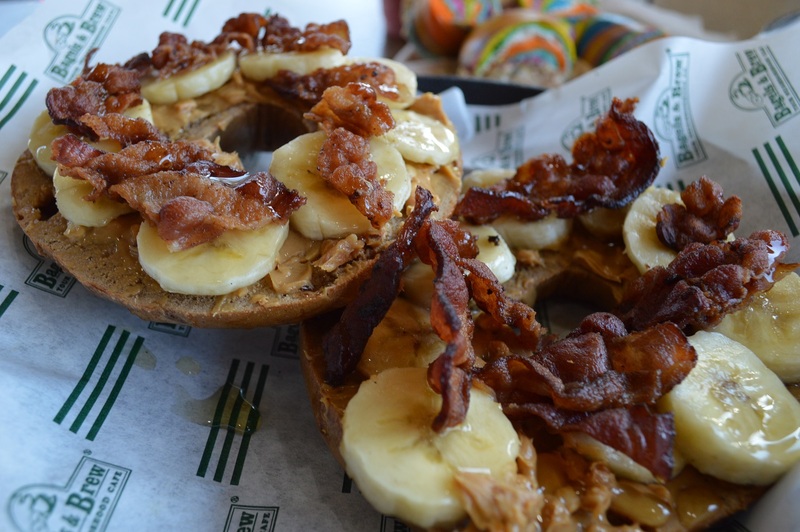 I could eat it by the slice anyday... Bagel and Brew puts it on their new creation called Elvis which is any bagel you choose topped with peanut butter, bananas, bacon and drizzled honey! I think this bagel is a good attempt at creating a sweet and savory taste. Unfortunately, Kevin and I both agreed that the peanut butter overpowered everything. Basically, we barely tasted any bacon and only tasted peanut butter. SO I HAD QUITE HIGH EXPECTATIONS. During my college years, I used to work part time at a bagel place. I got to smell fresh bagels very early (maybe too early) every morning and would often eat bagels for lunch all the time. 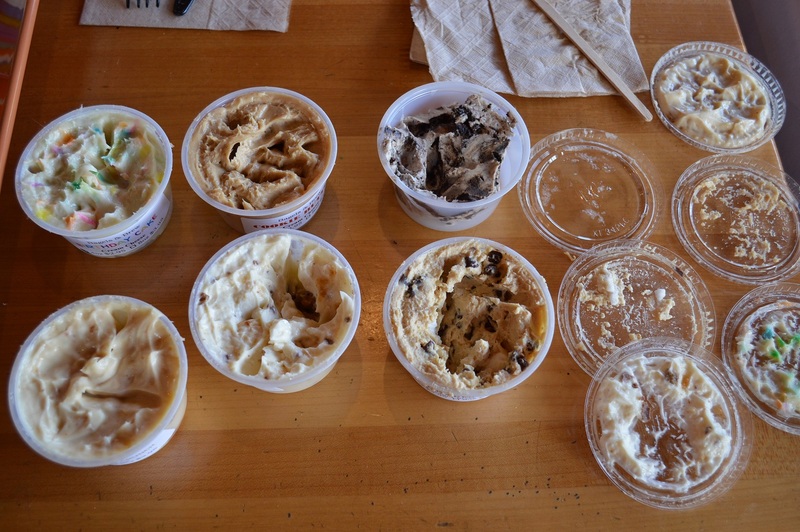 Bagels and Brew impressed me by the fact that they make their cream cheeses in-house! That's pretty cool! 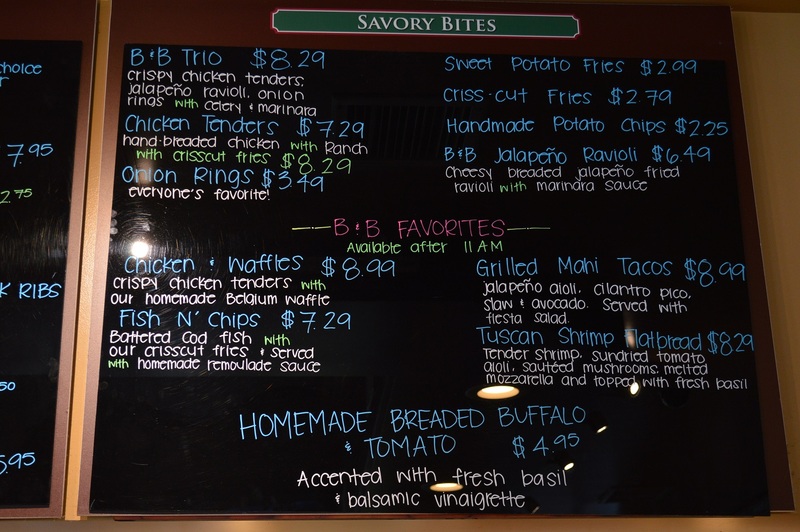 The bagel place I worked at probably made it somewhere else (but it was damn good too). 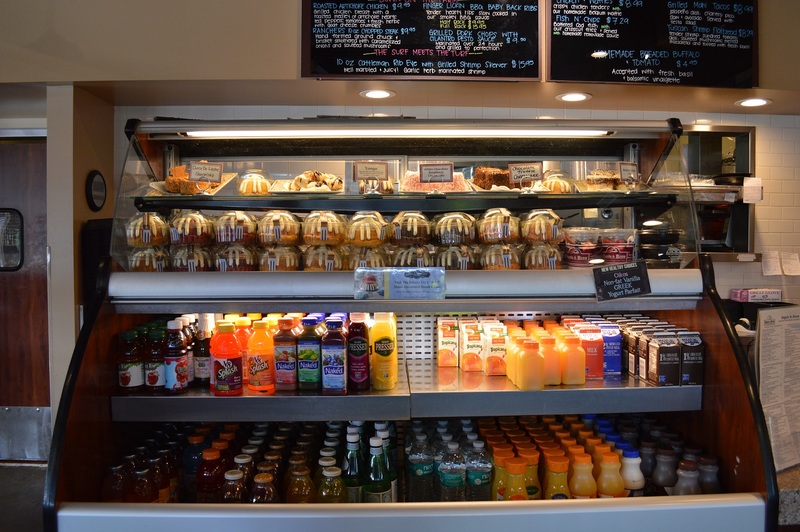 Compared to my other bagel store experiences, Bagels and Brew is very big and has a huuuge menu that includes lunch entrees, smoothies, coffee and more. The pizza bagel wasn't anything out of the ordinary for me but I'd have to say it's pretty darn big! The Unicorn Bagel is cool to look at and cool to take photos of. Taste-wise...well... They are just plain flavored bagels with artificial food coloring y'all. 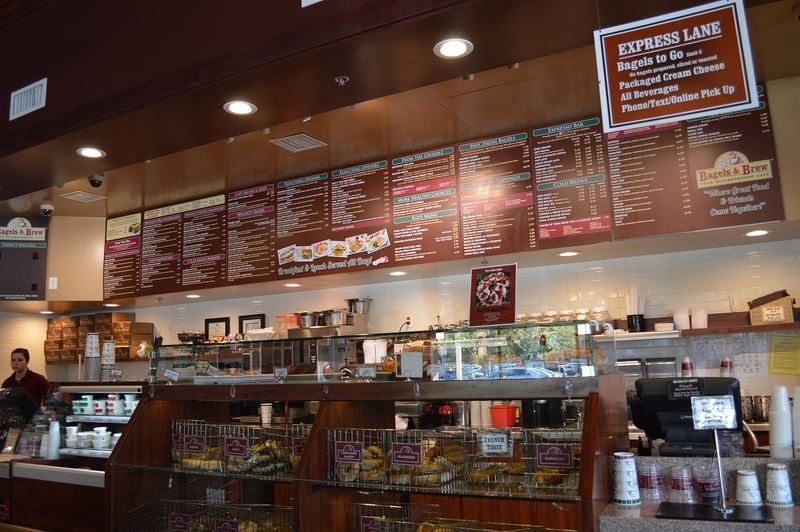 Bagels and Brew have got 3 locations in SoCal to satisfy your bagel cravings!